A "BIG thank-you" to those that have already pledged their sponsorship! 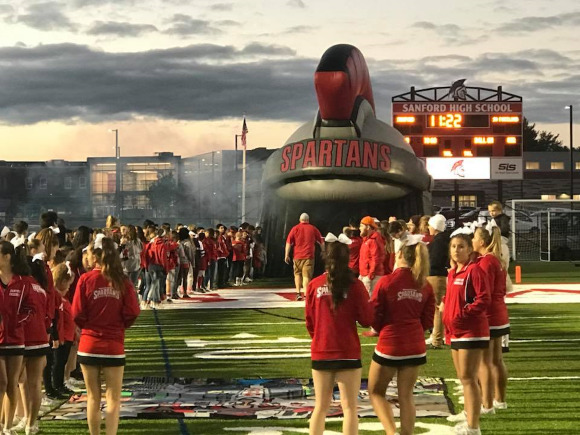 Tunnel Time - Homecoming kick off and another win! Join the Campaign towards the New High School! In celebration of the 250th year anniversary of Sanford’s founding, we have created the Sanford 250 Club! We are looking for 250 alumni to donate $1,000 each in honor of our school. Your generous contribution will go towards the naming rights of the new athletic stadium which will proudly carry the name “Alumni Stadium” and the entry drive "Alumni Boulevard". If you prefer, we have other gift pledge amounts that would entitle you to have your name on our main stadium donor plaque. Donors may make a one-time pledge or spread their pledge amount over a 1-3 year period. All categories get recognized for their donations. *Please give generously and have your family or business name permenantly displayed at the new "Alumni Stadium" recognition display sign board. Donations can be made in memoriam. 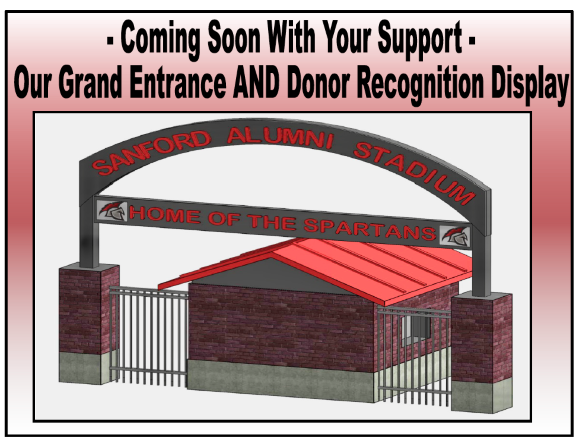 Ticket Booth Entrance - One of our next BIG projects helping to make "Sanford Alumni Stadium" a community landmark! 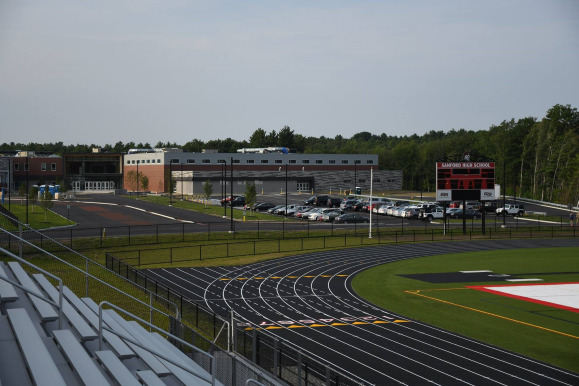 Maine’s newest and most modern sports complex will enhance athletic and educational experiences for students in the Sanford area for many decades to come! The new athletic facilities will provide first-rate fields and courts to serve as a gathering location for the entire community. The state-of-the-art complex will generate economic value for the community, attracting thousands of people for Regional, State and New England competitions.